What is L’Oreal White Perfect? As per manufacturer claims, L’Oreal White Perfect is an acne cream help to reduce dark spots and manage melanin creation of the skin cells to give even skin tone and fair complexion. This day cream gives long-lasting moisture to the skin to battle dryness and counters the damaging effects of the environment. L’Oreal Paris is a top brand that delivers fast results to address skin issues. This company is known across the globe with stores present in 120 countries. They have developed L’Oreal White Perfect to provide a day cream that offers acne treatment and lightens the skin. L’Oreal White Perfect– Does It Really Work? L’Oreal White Perfect Ingredients : Are They Safe? How To Apply L’Oreal White Perfect? Does L’Oreal White Perfect Have Any Side Effects? This cream evens out skin complexion to give you a more beautiful skin. It stimulates the skin circulation that reaches the outermost layer of the dermis to give a rosy and youthful glow to your skin. 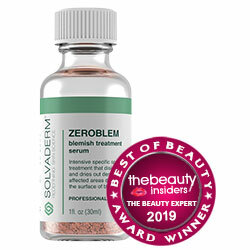 Protects the skin from sun-damage to prevent skin darkening and sunspots. What are the Ingredients in L’Oreal White Perfect? Sunscreen: This day cream is formulated with sunscreen to ensure that you are protected from the harmful UV of the sun. Humectants: A number of moisturizing ingredients were included in this cream to keep the skin hydrated but it may cause skin dryness. Tourmaline: This gemstone stimulates the circulation on the surface of the skin to give it a rosy glow. After cleansing the face and conditioning it, apply a thin layer of this cream. Spread it evenly on the face, neck and decollete until absorbed. Make sure that this cream is fully absorbed before applying makeup. Applying L’Oreal White Perfect night cream will increase the rate of skin lightening. With consistent use, users can expect lighter skin complexion and even skin tone. Protects the skin from sun-damage but may cause skin dryness. This cream is a little more expensive than its competitors. L’Oreal White Perfect side-effects can be attributed to some ingredients that are not vegan-friendly and can cause potentially alarming symptoms. Discontinue using this cream on the first sign of allergy or side effect. Parabens are added to skin care formulations to prolong its shelf life. However, this ingredient is known to be a cancer-causing agent. Fragrance and alcohol can lead to skin dryness. Some adverse reaction from fragrant ingredients that range from rashes to severe allergy. L’Oreal White Perfect day cream is manufactured by a credible brand that has sustained top quality over the years. This cream gives the skin beneficial effects that leaves it moisturized and protected from the sun while regulating the skin’s melanin creation to promote skin lightening. However, reviews about this lightening cream found that it is a little costly and has some ingredients that may cause potential skin ailment in the future. Parabens, fragrance, and excessive alcohol is something you must avoid when choosing skincare products. Also this product do not offer Money back guarantee.